One Eternal Day: "Serve Him with mirth"
...[N]o recent writer is more buoyed up by the ebullient spirit of youth, and none more popular with intelligent young readers. 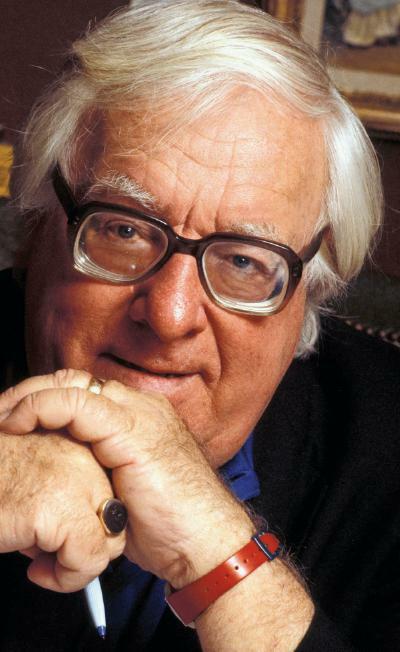 Probably no one ever has written so understandingly of twelve and thirteen-year-old boys as Bradbury does repeatedly, particularly in Dandelion Wine, with its prosaic-romantic setting of Waukegan, Illinois (Bradbury's birthplace) and a thousand other American towns about 1928. Perpetual youth, and therefore perpetual hope, defy in Bradbury's pages the fatigue of this century and the ambitions of exploiting scientism. ...Ray Bradbury discovers the same ancient truths beneath the surface of existence, in Waukegan, Illinois, say, about 1928. The outer life of good and evil in an American town is described in Dandelion Wine; the subterranean, inner reality, in Something Wicked This Way Comes. A carnival comes to a small town; and two boys, thirteen years old, Jim and Will, are fascinated by it. But this particular carnival is not merry. Its master is the Illustrated Man, Mr. Dark, seeking whom he may devour. His captive freaks are sinners whose monstrous bodies are the personifications of their sins. His carousel, running forward or backward at great speed, will give human beings their desire of youth regained or age attained and send the iron into their souls. His Mirror Maze will entrap the folk who seek what is not in nature, and will convert them into caricatures of themselves. Mademoiselle Tarot, the Dust Witch, can murder with a whisper. For centuries, preying upon frailty and folly, this carnival has wandered the world, its proprietors setting their snares for the unwise and the unwary, and often with success. Yet one power is stronger than the temptations and threats of the carnival; and that power is laughter. ...Evil, after all, is ludicrous; and though God is not mocked, those creatures who batten upon tormented souls are aghast at healthy mockery. Russell Kirk, Enemies of the permanent things: Observations of abnormality in literature and politics , Arlington House, 1969.